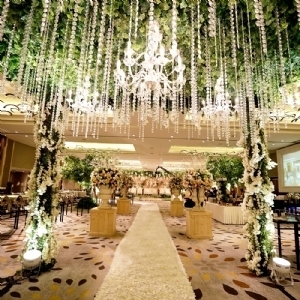 Pullman Jakarta Indonesia offers the 1,046m2 Grand on Thamrin Ballroom that can accommodate 500 to 1000 guests. Additionally, Pullman Jakarta Indonesia also presents a variety of culinary specialties prepared by the hotel expert chefs paired with beautiful decorations that can transform the ballroom into a fairy tale. Pullman Jakarta Indonesia also offers a choice of indoor venues with a romantic atmosphere called HESA. Located on the 3rd floor area of The Linkar, HESA is a glass room that offers a beautiful view of the city, especially the Thamrin Road and Jakarta breathtaking skyline. With a capacity of 60-100 guests, this venue is suitable for those who want to hold an intimate wedding or blessing ceremony with a sunset view. To enliven the private event at HESA, the bride and groom can also utilize PALAPA, which is an area that has a private kitchen and social space with a capacity of 300 guests. With the rising trends of outdoor or semi-outdoor weddings, Pullman Jakarta Indonesia offers two newest outdoor venues namely VERANDA that overlooks the swimming pool and UNA that promises a view of Jakarta vibrant skyscrapers and colorful skies. These two venues are suitable for those looking to host post-wedding parties and celebrations with friends, relatives, and family. Every bride and groom deserves the best. 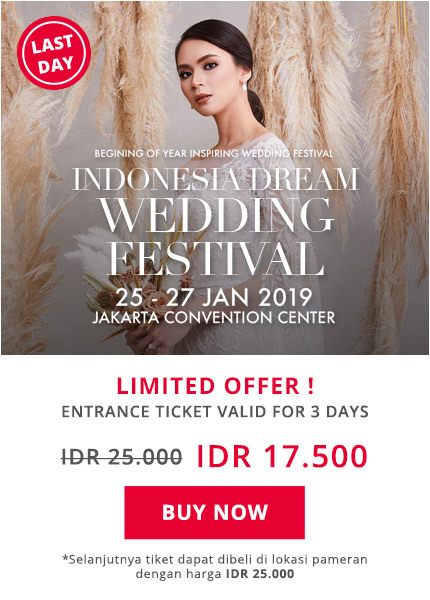 Weddings in Pullman Jakarta Indonesia is more than just choosing the right venue, it is also about enriching experience with a line of great wedding specialists who will offer one-to-one guidance tours and professional suggestions. The culinary experts at Pullman Jakarta Indonesia will also provide food tasting of the new menu options. From international to Asian and local dishes and food stalls, brides and grooms have the ultimate choice to pamper their guests with the best possible culinary offering in their wedding day.